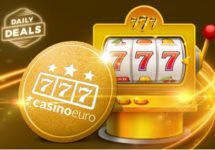 Casino Euro – Daily Roulette Fun! Spin the wheel for great prizes! Play themed Netent Live Roulette for Free Spins and Cash Prizes! 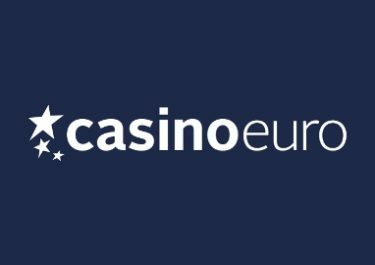 Get ready for four weeks of daily Roulette fun at Casino Euro. Start off July with collecting 50 Free Spins per active day on Wild Wild West: The Great Train Heist™ when you play Wild Wild West Live Roulette this and every other weekend in July. Then, win up to €1,000 in cash every week when you join the Koi Princess Roulette Draws every Monday to Wednesday. If that’s not enough, play Warlords Roulette every Thursday and Friday in July to pocket yourself another fierce amount of Free Spins. 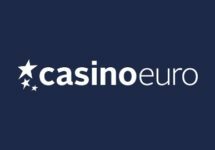 This is promising to be a great month for Live Roulette enthusiasts at Casino Euro. Not one, but three exciting campaigns throughout every week of July will see tons of Free Spins and Cash Prizes going to the lucky winners. Each part is running for 2 – 3 days on a differently themed Live Roulette Table from Netent Live, opened on the active days from 14:00 – 02:00 CET. This table is opened on weekends in July, namely on 1st & 2nd, 8th & 9th, 15th & 16th, 22nd & 23rd and 29th & 30th July 2017. Celebrate a wild summer with Free Spins when you play Wild Wild West Live Roulette every Saturday and Sunday in July. Play 20 rounds in one day on the designated table on the active dates and you will be rewarded with 50 Free Spins on Wild Wild West: The Great Train Heist™. This can be repeated on each day the table is opened, bringing the total to up to 500 Free Spins for July. WR is 15x FS winnings within 5 days. Devoured the Free Spins from the weekend? Then carry on the fun and win one of 100 cash prizes of up to €1,000 when you play on Koi Princess Live Roulette Table on the following dates: 3rd to 5th, 10th to 12th, 17th to 19th and 24th to 26th July 2017. Earn one ticket to the weekly prize draw for every 10 rounds played with cash bets on the designated table. Prize draws will be held weekly on the day after the active days and prizes ranging from €20 – €1,000 credited in cash shortly after. A qualifying game round for the purposes of this promotion is a real money bet round when player’s bets cover less than 70% of the outcomes on the wheel. Opening days for this table are 6th & 7th, 13th & 14th, 20th & 21st and 27th & 28th July 2017. To round it off, every Thursday and Friday in July claim 50 Free Spins on Warlords: Crystals of Power™ every time you play 20 rounds on the Warlords Roulette Table on the qualifying days, up to 400 Free Spins for the entire month. WR is 15x FS winnings within 5 days. 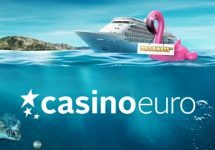 Launched as early as 2002, the casino is operated by the acclaimed BML Group Ltd. under licenses from the MGA Malta and the UK Gambling Commission. Casino Euro offers Casino, Video Poker, Table Games and Live Casino on desktop, mobile and tablet with games from well-known providers such as Netent, Microgaming, GTS, IGT Interactive, Leander Games, Play’n GO, Quickspin, Scientific Games, WMS, Yggdrasil as well as Evolution Gaming and Netent Live for their LIVE Casino.